Brinley Williams's personalised candle wedding favors range make fabulous bepsoke wedding favour gifts, wedding guest presents or wedding table favour centrepiece displays but are also great for banquets, anniversary parties, birthday parties, baptism, christening or naming day celebrations. 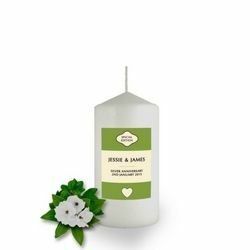 In addition a personalised favour candle makes a wonderful keepsake gift for friends and family at a christening or batism ceremony, gift for the bridal couple or bridal party gifts, alternatively they can be used as table centerpieces or wedding decorations. We hope you like the designs and that they bring a little extra something to that special day. Imagine…a tropic breeze, a starlit night and a tiny light- exchanging vows and dancing your way into wedded bliss. What’s the tiny light? 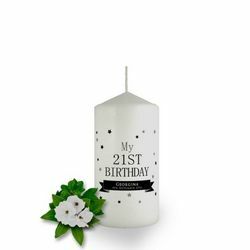 It’s simply the soft glow from our candle favors. They range from bespoke gifts to table and banquet centerpieces. Making the moment last a while for all your guests, with our bright and beautiful candle favors, helps you bring the best of the moment into each view. 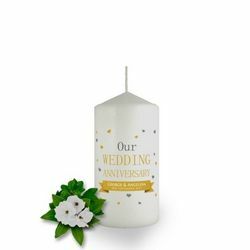 What a better way to spread the romance of your wedding day, the joy of your birthday and anniversary parties or the zen of your baptism than with a keepsake your guests can light on their own?! 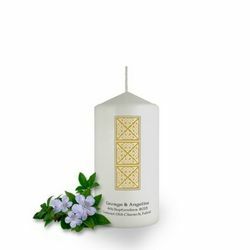 Brinley Williams candles wedding favors let elegance reign supreme on your event with touches of light that glow. They can act as a gorgeous slimmer to your venue or a shining symbol of your bright future. They easily create a softly flickering atmosphere, giving all your guests a delightful favor that will have them fondly remembering your unique celebration. 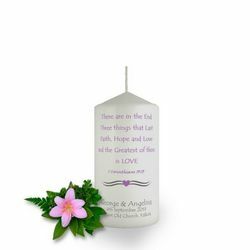 The candles will liven up your decorations and make your crowd feel special and beloved. Made in a variety of likes and designs, they make that special day one that shouldn’t be forgotten. Our candle favors are always in good taste and make a great moment for all your guests in attendance.